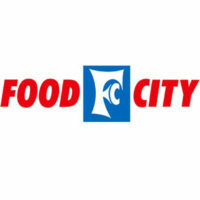 Food City is a supermarket chain with branches located in Virginia, Tennessee, Kentucky, and Georgia. The supermarket chain offers a wide range of dairy products, frozen foods, fuel, pharmaceutical products, grocery products, and many more. The first store was opened in 1918 at Greeneville, Tennessee. However, the store only started operating officially in 1955 when founder Jack C. Smith, along with his father and uncle, opened the first K-VA-T Food Store in Grundy, Virginia. This supermarket chain now has over 100 supermarkets, 80 fuel stations, and 100 pharmacy stores. It ranked 55th at the 2008 Supermarket News’ Top 74 American Food Retailers, and 40th in the Grocer’s List of America’s 50 Largest Supermarket Chains. For full-time employees who work 40 hours a week, the benefits include health insurance, dental insurance, pension plans, 401k plan, reduced/flexible hours, and vacation and paid time off. In addition, employees also get limited discounts in-store. Working at this American supermarket chain means working in a fast-paced environment. Employees share that even though it could get very busy, the friendly, respective, and fun co-workers make the work environment nurturing and conducive to learning new skills. Applicants as young as 16 can apply for in-store positions (cashiers and stockers). For people who are interested to apply in management positions, the minimum age requirement is 18 years old. There are various career options in this company to which entry-level applicants can apply to. This section lists the different career options and a short description about each. Bakery Clerk: The bakery clerk processes orders of customers in the bakery department. He or she bags, boxes, displays, and wraps bakery products, as well as ensures that the bakery department is clean and well-maintained. The bakery clerk also processes cash register transactions, checks, refunds, and EBTs. Lastly, he or she monitors the accuracy of prices and weights through the use of a scale printer machine. Cashier/Clerk: The clerk/cashier provides excellent customer service by being courteous and friendly to both team members and customers. In addition, they offer product information, and give suggestions when solicited. The cashier, in particular, processes cash register transactions, checks, credit and debit cards, and EBTs. He maintains merchandise displays, including aisle and floor displays, and end-caps. Courtesy Clerk: Aside from providing good customer service, the courtesy clerk bags orders, and helps customers take the purchases to their vehicles. He retrieves empty grocery carts and makes sure products are in their correct shelves. He also cleans spills, sweeps aisles, among others. Outdoor Grill Clerk: Outdoor grill clerks are usually seen at the front desk. Responsibilities include grilling delicious chicken and pork meat for the satisfaction of customers. He also ensures continuous production of roasted chicken and pork, prepared only using proper techniques and procedures. Grocery Clerk: The grocery clerk is responsible for managing the shelves and well-stocked. He also provides fast-paced but friendly customer service and processes cash register transactions, checks, refunds, and many more. Lastly, the grocery clerk maintains the tidiness of stands, grocery aisles, and work areas. Tortilleria Clerk: The tortilleria clerk mixes, manufactures, bakes, fries, and displays sumptuous corn and flour tortillas, as well as other snack products. He or she mixes the masa to be used for making tortillas and tostada shells and also packages and manufactures them along with other snacks such as duros and toasted corn chips. More importantly, the tortilleria clerk abides by proper food safety guidelines in the preparation of these food products. Night Crew Clerk: Also known as the non-checking clerk, the night crew clerk is responsible for maintaining and replenishing products in the general department. He unloads trailers, receives the merchandise, positions product cases in the warehouse, and breaks down pallets. He or she keeps the shelves stocked and full. Scanning Clerk: The scanning clerk maintains proper pricing of grocery items. He or she has experience with computer software and equipment used for pricing and checks out orders in an accurate and quick manner. He handles tender in all forms and in accordance with company policy. The tender includes cash, credit cards, debit cards, EFT, WIC, and checks. Deli Clerk: The deli clerk slices, prepares, boxes, displays, and wraps deli products. He is also responsible for the maintenance and cleanliness of the deli department. In addition, the deli clerk also processes cash register transactions and other transactions involving refunds and change. Lastly, he or she also prepares and cooks deli food items such as roasted chicken, fried chicken, and salads. Produce Clerk: The produce clerk provides knowledge to customers about food products and is also in charge of replenishing and rotating products. He or she fills cases of refrigerated and non-refrigerated goods. In addition, the produce clerk unloads trailers, receives orders for merchandise, and breaks down the produce loads. Interested applicants will be asked to fill up an application form, and then provide a copy of their resume upon submission. The application form can be acquired from the store manager or through the website. Before submitting your application form, make sure that all fields are filled with the appropriate information, and review your answers before you hand it over or submit it online. Keep your resume short, limiting it to one page if possible. It will be helpful to include any relevant work experience which may better your chances of getting accepted. As mentioned, this successful supermarket chain has been named the Healthier Tennessee Workplace from 2014 to 2017. The company aims to have a fun and productive workplace, and prioritizes and focuses on the employees’ well-being. This famous supermarket chain is also known for its “Q” Smoke Pit” in selected store locations. Customers may purchase Boston Chicken, Butts, and Ribs, all marinated with the company’s secret herb spice and slowly smoked to perfection. Food City is known for selling locally-grown produce. This is made possible by the supermarket chain’s partnership with local farmers, allowing them access to a wide range of fresh-from-the-field products. The produce involves fruits and vegetables. As part of its involvement with the community, the large supermarket chain has established a partnership with the local farmers. This is how the supermarket chain gets its freshly-picked produce, while ensuring a sustainable income for the local farmers. 1 How Old Do You Have to Be to Work at Food City?